Leonardo DiCarlo (Buenos Aires, Argentina, 1976) joined the Applied Physics department as tenure-track assistant professor in 2010. 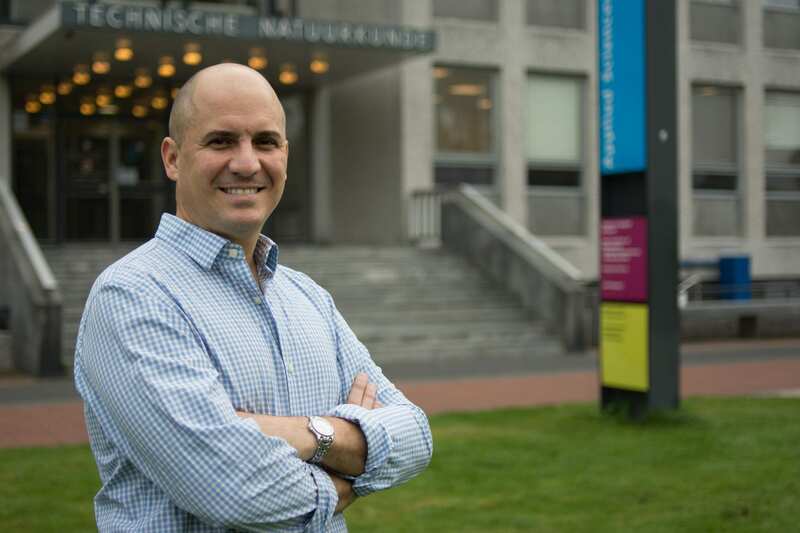 He was promoted to associate professor in 2015, and to Antoni van Leeuwenhoek full professor in June 2018. Leo holds a double major in physics and electrical engineering from Stanford University (1999), a masters in electrical engineering also from Stanford (2000), and a PhD in experimental mesoscopic physics from Harvard University (2008). Leo’s focus evolved from semi to superconducting quantum circuits during his post-doc in applied physics at Yale University (2008-2010). Highlights from this period include the first solid-state quantum processors executing quantum algorithms, generating three-qubit entanglement, and performing basic quantum error correction. In Delft, Leo and his team are devoted to transforming these superconducting prototypes into useful quantum computing technology. Currently, they ambition to realize the first scalable prototype of a quantum computer, spanning from superconducting quantum hardware, through control electronics, to the complete software stack. This is a great challenge blurring the lines between traditional condensed-matter physics and electrical engineering. Leo lives for the aha! moments when the processors make a leap forward, whether through the sudden understanding of unexpected underlying physics, or through improved measurement hardware and technique. QuTech provides the perfect setting for this fusion. “The collaboration with academic and non-academic engineers, and key industrial partners such as Intel and Zurich Instruments has positively transformed our activity!,” he notes. Group publications are available here. For all of Leo’s publications, please see ResearchID or Google Scholar.